At the cutting edge of wellness, Pullman pilots Dreem, an innovative, award winning technology, scientifically proven to promote a superior sleep, in two key properties. Paris, France, 2018-Feb-08 — /Travel PR News/ — AccorHotels is proud to announce its partnership with Rythm, the award-winning neurotechnology company, in an exciting pilot program that will make their revolutionary product, Dreem available to guests staying at Pullman Paris Centre – Bercy and Pullman San Francisco Bay. Dreem is the first-ever active sleep solution, clinically proven to enhance your sleep quality. Rythm is a neurotechnology company that combines neuroscience research and advanced technologies. With esteemed partners such as the Stanford Center for Sleep Sciences and Medicine, Rythm develops consumer electronic products that improve people’s wellbeing and performance, hence, their daily lives. Rythm’s inaugural product, Dreem, integrates the accuracy and the power of lab equipment in a miniaturized and comfortable headband. Dreem uses ultra-fine sensors to track key information such as brain waves, heart rate, and breathing, and discreetly diffuses sound to your inner ear. It allows users to fall asleep more easily, enhance crucial deep sleep, and wakes the user at the optimal time. The company’s innovative technology has won several accolades and awards, including the 2017 BPI France Concours Mondial d’Innovation. It’s hard to deny how disruptive a night of poor sleep can be, from red eyes to fatigue to diminished mental function. Pullman Hotels & Resorts has long been a champion of sound sleep, promoting it as a pillar of its renowned wellbeing program. A recent spate of scientific studies have further illustrated the relationship between sleep and wellbeing, including research demonstrating how deep sleep encourages important functions such as memory consolidation, cellular regeneration and growth hormone release. With the Dreem headband, Pullman will be leading the way in providing guests with the ultimate restorative hospitality experience. “We’re excited to join forces with Pullman Hotels & Resorts”, said Hugo Mercier, CEO of Rythm.“Traveling can be exhausting and we’re elated to provide Pullman guests the opportunity to try Dreem and get a better night’s sleep when they need it most.”​ Guests will be able to request a Dreem headband at Pullman Paris Centre – Bercy and Pullman San Francisco Bay. As part of their program of exclusive offers and experiences, the initial pilot will give priority to Le Club AccorHotels members, allowing them to rise and shine like never before. From February 12th to 19th 2018, all members of the elite Le Club AccorHotels loyalty program will be invited to answer an online questionnaire designed to explore health and wellbeing issues, including sleep education. 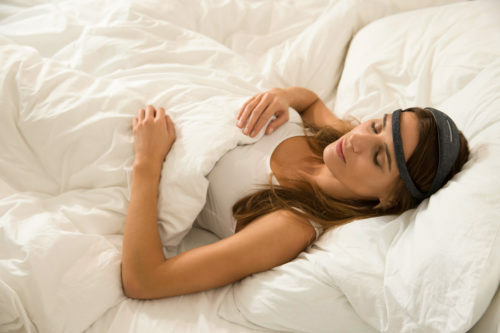 Participants will be entered into a draw to win their very own Dreem headband, valued at $499. This entry was posted in Business, Hotels, Resorts, Travel, Travel Marketing, Travel Services, Travel Tech, Travelers and tagged AccorHotels, active sleep solution, Aldina Duarte Ramos, Dreem, Hugo Mercier, partners, Rythm. Bookmark the permalink.